I first reviewed "144000" by Speakers For the Dead in May of 2005 and I liked what I heard even though there only five songs to work with (see my review, below). Now, one year later, I am reviewing a new, full-length release, "Prey For Murder." 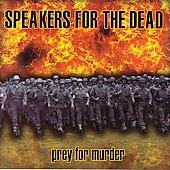 "Prey for Murder" is a 12-track release that runs such a gamut of strange and interesting emotions that I had to listen to the CD twice just to get a little better grasp as to what the band was trying to say. Yet, even after a few spins, I still don't quite know what the hell this band is all about; but one thing I can say for certain: "Prey For Murder" is a killer release and Speakers for the Dead sound like they are having a fun time doing it. For more information, check out http://www.myspace.com/speakersforthedead. These guys really have the MySpace thing going on; theirs is one of the coolest sites I have seen. When music is good, it jumps out at you like a freight train. 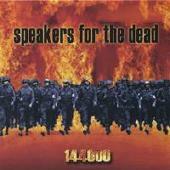 Speakers for the Dead and their "144000" did just that to me. I liked "144000" the moment it started playing and I'm spinning it again right now as I write this review. I may not understand most of the music, but that really doesn't matter. I know what I like. This band is very talented and they attack the music with eagerness and seem to genuinely enjoy what they do. I only wish there were more than five songs and 15 minutes of music here, but what I heard I really enjoyed and was impressed by the power presented. Normally, it's difficult to give a less than full-length CD a high rating, but for Speakers for the Dead, I will make an exception. Speakers for the Dead was formed by Curtis Shamlin and Jason Garcia (formerly of the band Gryp (click here to read my review of their demo). Gary Shipman and Kevin Lynn round out the band. For more information, check out http://www.myspace.com/speakersforthedead or www.speakersforthedeadmusic.com.